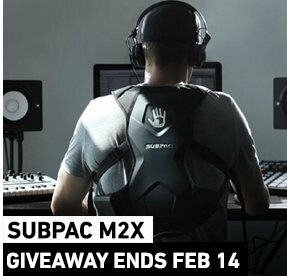 Enter to win a $349.99 SUBPAC M2X Wearable Sound System from Dude Shopping. The SUBPAC allows you to experience precision audio in a way like never before. The M2X is a wearable audio system that allows you to feel" audio in a whole new way. If you like listening to music, or playing video games.